Harris Dental is proud to serve not only Phoenix but the greater Phoenix area. 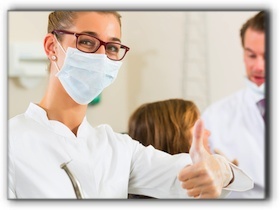 Our professional dental team consists of members of the community we serve. It’s worth the trip for the change it will make in your life. Are you proud of your smile? You should be. Your smile is unique. It can express friendliness and confidence. Why not make it the ideal expression of who you are? Cosmetic dentistry offers answers for chipped teeth, missing teeth, crooked teeth, and discolored teeth. We offer care above and beyond basic cleaning and oral care instruction and guidance. While oral hygiene is vital, sometimes advanced dentistry is needed for a true smile redesign. Come see our office for cosmetic dentistry. Your smile is our priority. We want your personality to shine. At Harris Dental, we have been passionate about improving lives in the Phoenix area with dental expertise since we opened our doors in 1979. We provide general and cosmetic dentistry. Schedule an appointment with us today.